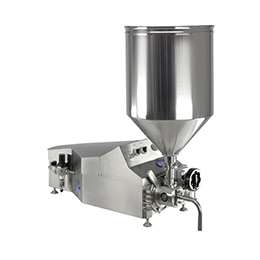 Masterfil volumetric filling machine is ideal for those that require accuracy, flexibility, and robustness. 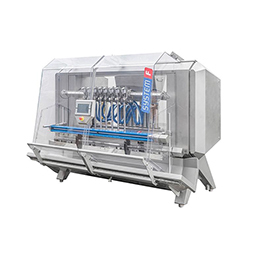 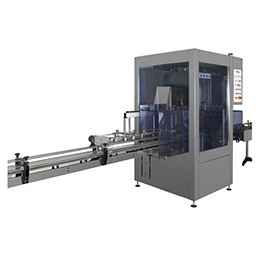 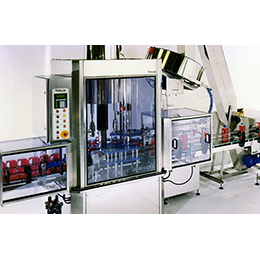 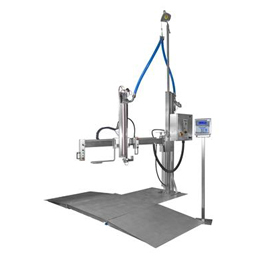 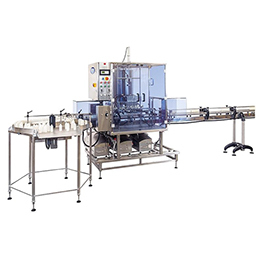 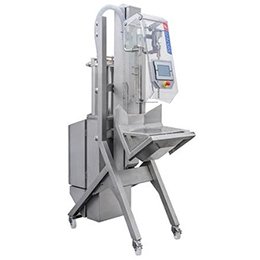 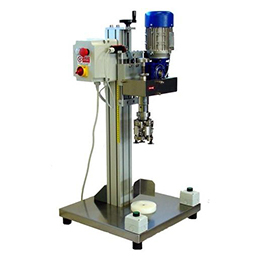 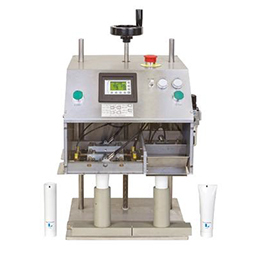 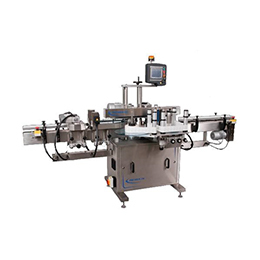 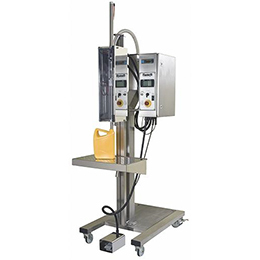 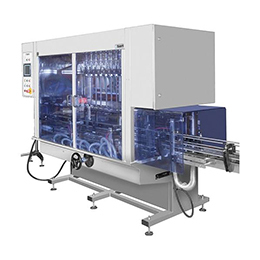 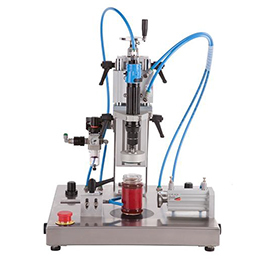 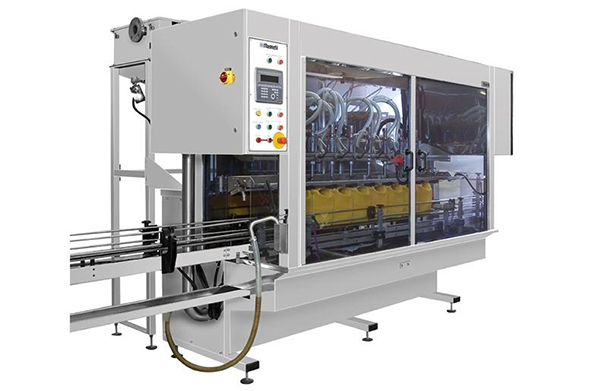 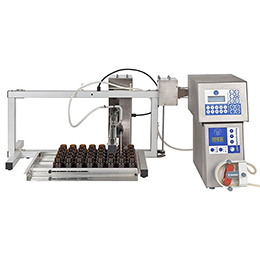 The Adelphi Masterfil volumetric inline filling machine is available with a choice of between 2 and 12 filling heads and is designed for those who require accuracy, flexibility, and a robust system that will endure the harshest of environments. 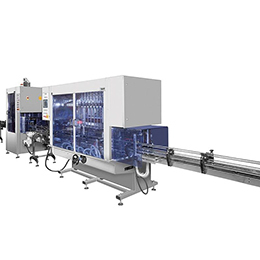 Starting with a 4 or 6 head machine on a frame sized for growth, extra heads can be added to meet increased output requirements. 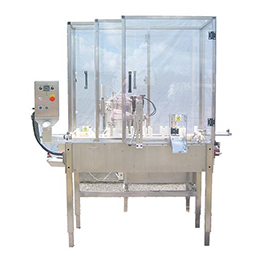 We offer a range of 4 heavy duty frames, which can accommodate 2 to 12 filling heads, there is also a light weight frame which can carry 1 to 4 heads dependent on the size of the container. 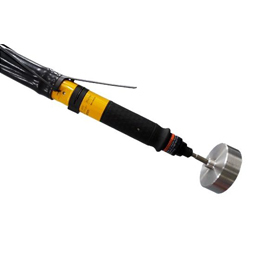 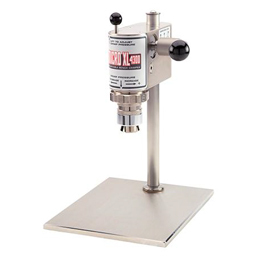 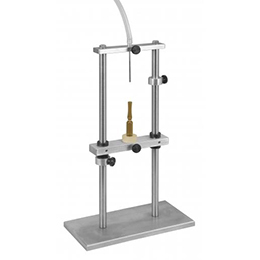 The filling heads offer a wide range of fill volumes and can handle low to high viscosity liquids. 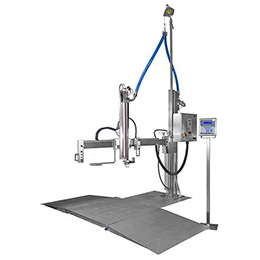 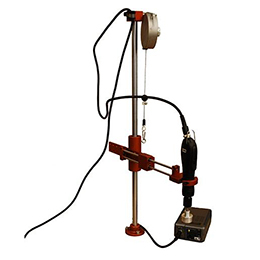 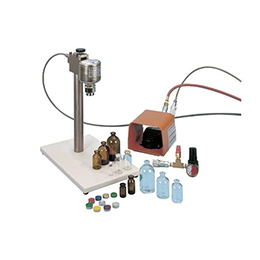 The nozzles are adjustable to fill foaming and non-foaming products with variable speed filling capacity. 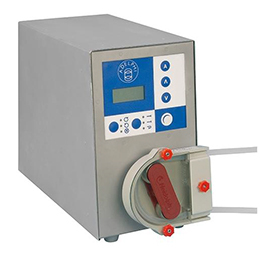 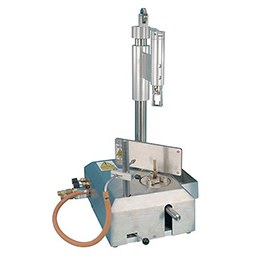 The honed 316L stainless steel filling pumps are available in 1, 3, 5, 6 or 8 liter capacities and can be specified in single or double acting format. 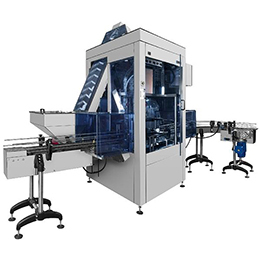 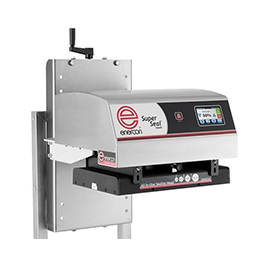 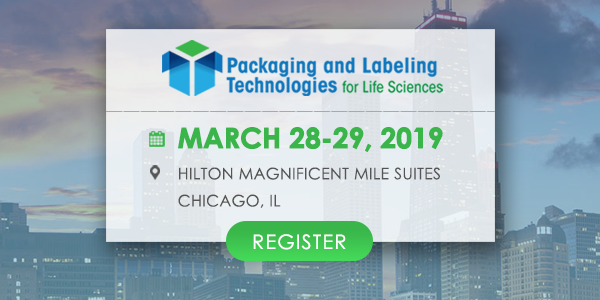 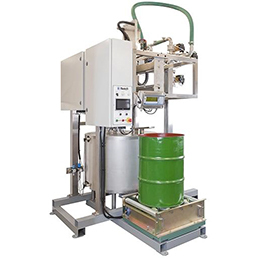 Optional touch-screen programming and the ability to store multiple filling profiles has greatly increased the efficiencies on line throughputs. 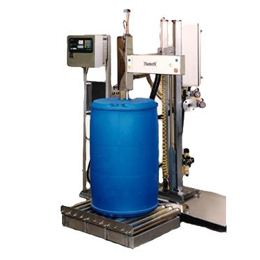 Easy recall of container fill profiles has helped to de-skill the operating of this range.